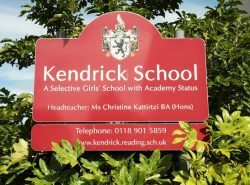 The second session this year is on Thursday 28th February, from 4:15 – 5:15 pm at Kendrick School, Reading. All the sessions are free, and there will be tea/coffee and biscuits provided. Please email to confirm attendance so we can order the appropriate amount of refreshments, and we will know whom to expect. Due to popularity we are restricting participants to a maximum of 2 per school. Sessions are open to all teachers of Primary Mathematics. Schools who sign up to this course are expected to attend. Schools who do not attend the session they have booked will be liable to pay a cancellation fee.